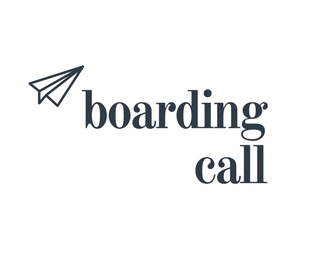 Looking for those one of a kind, never forget, amazing experiences? For many people, a trip to California is on their travel bucket list, and well, I’m just here to add to that list. And I have a LOT to add. 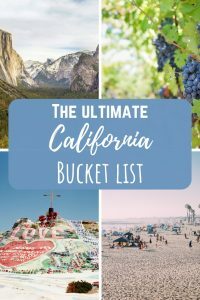 This California bucket list is an amazing list of one of a kind experiences in California that you can’t miss! And you know what? I feel like this list is only scratching the surface! More than TWENTY travel bloggers have put their minds together to come up with the list of the best adventures in California, so prepare to be inspired! 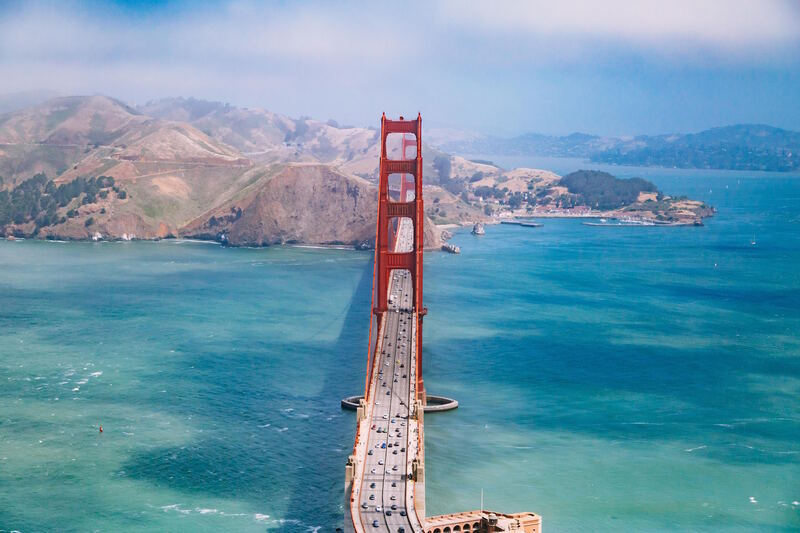 In this list you’ll find the best northern California vacation spots, cool things to do in California, and the best places to visit in southern California. 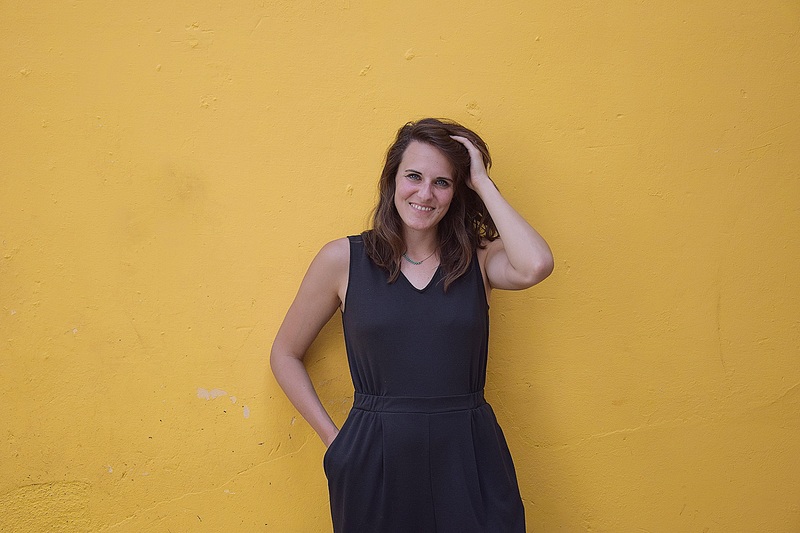 Ready to see your travel bucket list explode?! Read on! Malibu is one of our favorite locations in California. We much prefer the Malibu beaches to the more crowded beaches down in Santa Monica and Venice. There is no shortage of incredible beaches in Malibu. El Matador State Beach is one of three beaches located within Robert H. Meyer Memorial State Park and is one of the most gorgeous beaches on all of southern California. It’s a bit of a hike down the side of the mountain to reach the beach, but the cliff you will descend provides a stunning backdrop from below. The rocky outcroppings create caves and arches for exploring and also make El Matador a popular location for commercial photo shoots. Leo Carillo is another of our favorite Malibu beaches, offering fantastic rocks to climb and endless tide pools for children and families to explore. After a day at the beach, we always stop at Malibu Seafood for a delicious meal. Located directly on the Pacific Coast Highway with stunning views of the ocean, you can’t go wrong with anything on their menu. Just be sure to save room for an ice cream cookie sandwich for dessert. The Key Lime Pie is one of our favorites! It’s the perfect way to end a perfect day in Malibu! You don’t have to travel far to experience an island paradise in Southern California. Located just 22 miles off the coast, Catalina Island – with its Mediterranean charm, array of fun activities, and relaxed island atmosphere – will truly transport you to another world, and is definitely a cool thing to do in California. Whether you are looking for a romantic getaway, a solo escape or a place to bring the entire family for some fun in the sun, Catalina Island is easy to get to (about a 60 minute boat ride from Newport Beach, Long Beach or San Pedro) but feels like a world away. With its tree-lined pedestrian walkways that trace the waterfront and homes that climb the steep hills surrounding town, the town of Avalon is reminiscent of a Mediterranean village. It is also where you’ll find the majority of restaurants, hotels, and activities on Catalina Island. Stroll through Avalon’s quaint shops and galleries. Go for a bike ride. Take a tour. Rent a golf cart. Enjoy a meal at a harbor-view restaurant. Pack a picnic and go for a hike, or kayak, snorkel, go fishing, or simply relax on the beach. 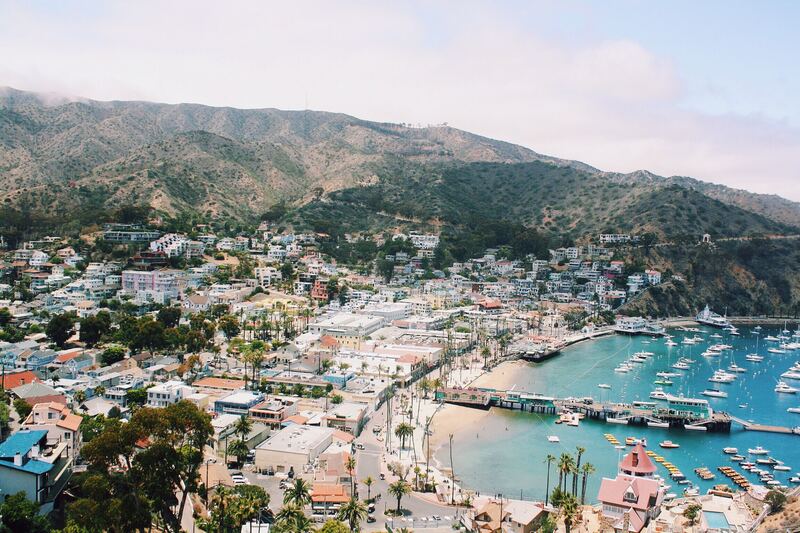 Whatever you choose to do, your visit to Catalina Island is sure to be one to remember! Newport is the perfect Orange County city for a visit. There you can spend your time in a luxury outdoor mall, Fashion Island, or shopping for a million dollar sports car along PCH (The Pacific Coast Highway). You can visit long white sand beaches, have a challenging surf or ride a bike along the paved path from Newport Beach to Balboa. While at Balboa Beach, you can be transported back to the 50s, grabbing a burger at Ruby’s right on the tip of the Balboa Pier. On a clear day you can watch the sunset over Catalina Island from the pier, while watching the local fishermen pull their successes out of the water. After the sun sets, cross to the other side of the peninsula to play games and ride the carousel at the Fun Zone. Don’t forget to grab a Balboa Bar, a freshly-dipped ice cream sandwich. From there you can take the ferry across the channel for dinner on the upscale Balboa Island. Newport has some of the best hiking too in the seaside estuary of Back Bay. For more about the area read A Local’s Guide to Orange County. Submitted by Jamie of The Daily Adventures of Me. 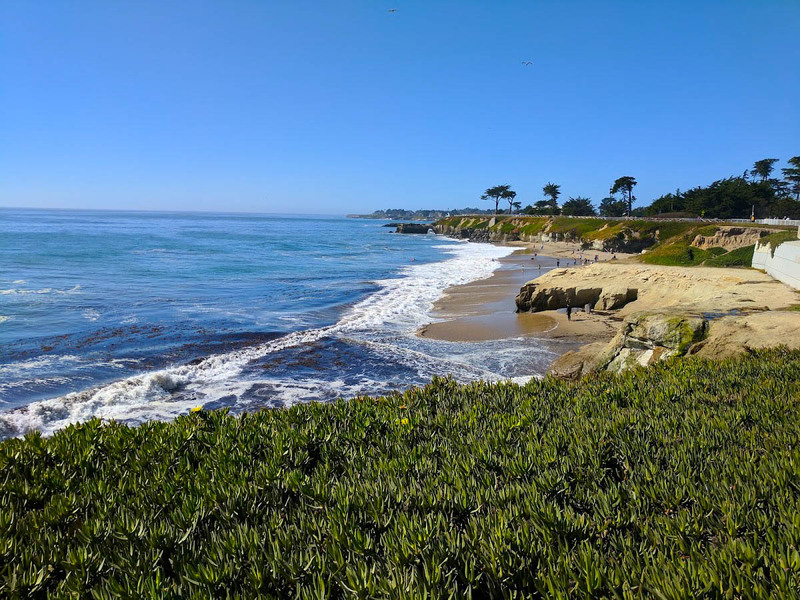 Santa Cruz is the perfect beach town with beautiful weather, world-famous surf, and plenty of amazing things to see and do. It is one of those must-see stops that should be firmly at the top of your California bucket list. It’s just an hour’s drive south of San Francisco but the coastal culture is well and truly ingrained in the place. The beach boardwalk is the amusement park that kids dream of, with a view that parents will fall in love with. Apart from the roller coasters, rides and games, the boardwalk also has an array of great restaurants to eat at, or simply take a picnic to the beach in front of it. Once your adrenaline’s pumping, visit the sea lions sunning themselves on the pier. The Santa Cruz Mystery Spot is a ‘gravitational anomaly’ set in the woods a short drive from the coast. Get ready to feel a little dizzy and feel like a superhero at the same time, as you explore a spot where trees grow at strange angles, and you can stand almost horizontal without falling over – a magical spot? Yep, that’ll fit a California bucket list! Santa Cruz is a world famous surf spot, hosting the Pro Santa Cruz competition in April each year. Apart from the professionals, the crashing waves draw enthusiasts from all over the world, and there’s even a surfing museum. 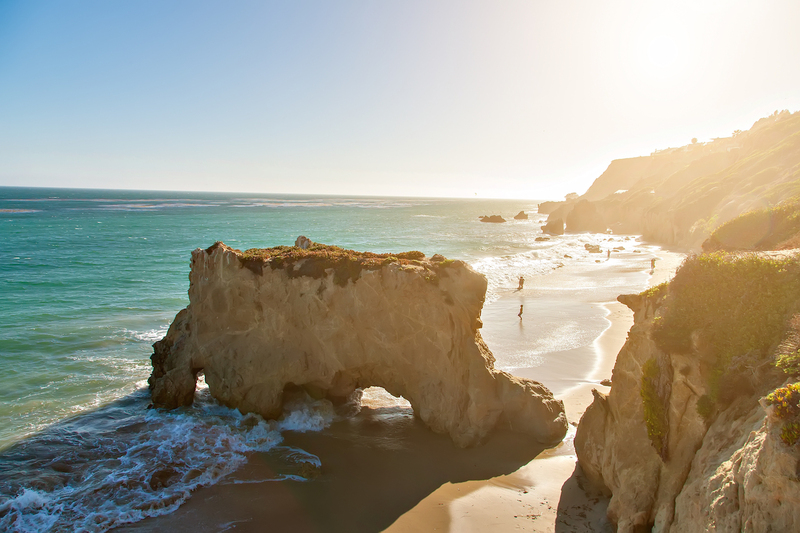 The natural wonders just keep coming, there’s Natural Bridges State Beach, where you can see some very cool rock formations, and marvel at the thousands of Monarch Butterflies that flock to the reserve each year during the cooler months. With wineries, farms, shopping and adrenaline pumping adventure on offer, Santa Cruz ticks just about every box. Find out more with a Santa Cruz weekend itinerary here. Submitted by Katherine of The Bright Lights of America. If you’re looking for a quaint beach getaway, look no further than Pacifica, California. 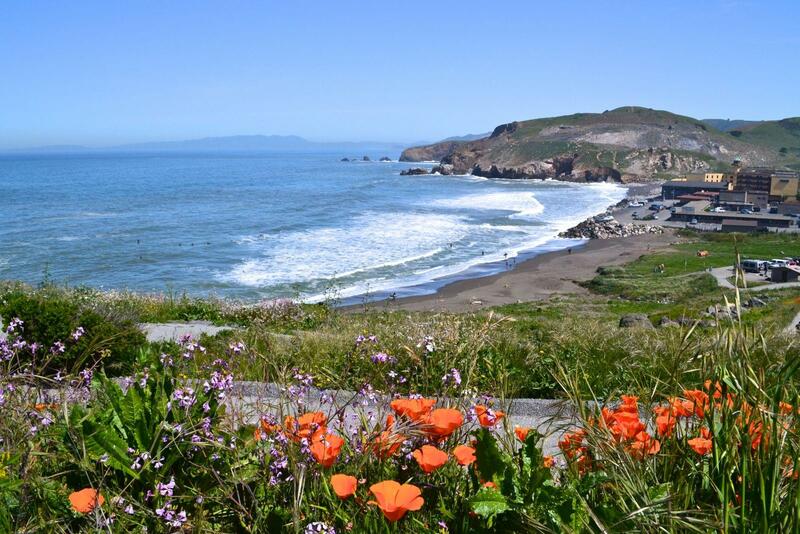 Pacifica is located just 15 minutes south of San Francisco. Pacifica boasts incredible morning waves for surfers and a up and coming restaurant scene for foodies to enjoy. If golf is your game, you can tee up nearby at Sharp Park Golf Course. It’s the home of Pacifica Jack cheese (yes, Pacifica, not Monterey) and the Coastside Pacifica museum where you can learn the story behind the cheese, taste, and also purchase it. Epicureans should leave town without hitting other culinary spots such as Rosalind Bakery, Tripp Distillery, Tam’s Cuisine of China, French Patisserie and Shampa’s Pies. Winos rejoice, there’s even a wine bar called A Grape in the Fog. Speaking of food and wine, don’t miss the romantic sunset by the sea for dinner at the Moonraker Restaurant. The Moonraker is located inside Lighthouse Motel, which is the ideal place to stay if you also enjoy views of the ocean from your room! If you like to get out and walk, the hotel is right across the street from a scenic hiking trail that runs along the ocean and parallel to Highway 1. For ocean views, friendly locals, and irresistible eats and drinks, make Pacifica your next California destination. San Simeon is situated along the Pacific Coast Highway almost exactly halfway between Monterey and Santa Barbara. While San Simeon is most famous for Hearst Castle (home of newspaper mogul William Randolph Hearst for nearly 30 years), I’ve got an even better reason to add San Simeon to your California bucket list. This small town nestled along the California coast is home to a rowdy population of elephant seals. What are elephant seals? Elephant seals are large marine mammals with a distinctive snout from which they derive their name. They are, simply put, impressive to watch. While the majority of seal species spend a great deal of time in the water, elephant seals spend significant time lounging (and fighting!) on the beach which makes for a prime wildlife viewing opportunity. There is an elephant seal rookery about a 10 minute drive from San Simeon. The number of seals peaks in January, May and in Late October. We visited in January and watched the males showing off their strength and fighting for dominance and the best mating opportunities. 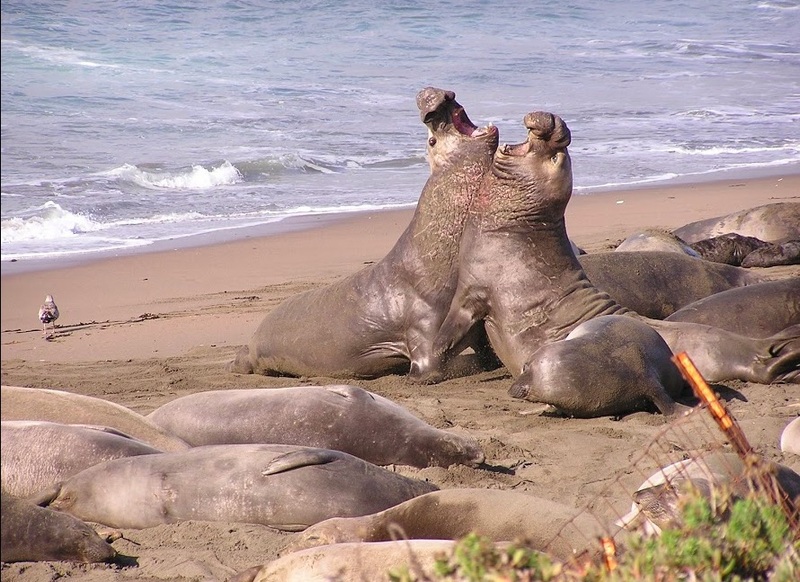 Friends of the Elephant Seal offers great advice on visiting the elephant seal rookery near San Simeon. 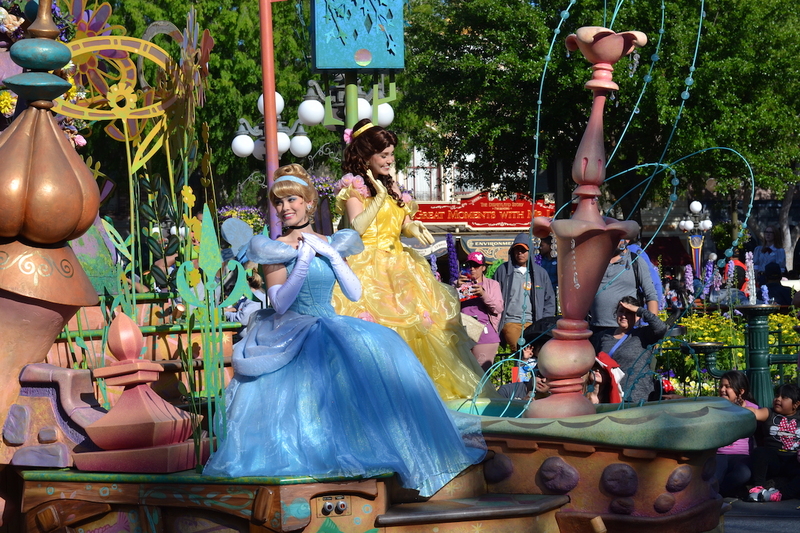 If you are visiting California with kids, or just a big kid at heart, you can’t miss a visit to Anaheim and the Disneyland parks! Anaheim is a beautiful city, with palm tree lined streets and plenty of great places to eat, however Disneyland and California Adventure Park are by far the biggest draw cards for many. The two theme parks are right next to each other and both are loaded with the best rides, shows and attractions! If it is your first time to Disneyland, we recommend at least one day at each, although you could easily fill up two days per park if you have the time! Thankfully there is plenty of accommodation nearby for an extended stay. If you stay at one of the Disneyland resorts, you get some extra perks too, although they are not always the most budget friendly options. Plan your day before you go and make use of the Fast Pass option so you can fast track your way through the lines for some of the most popular attractions. This is a free service and can help you make more out of your time by squeezing in even more fun! San Francisco is arguably a top destination in the world and definitely a must visit for anyone traveling to California. 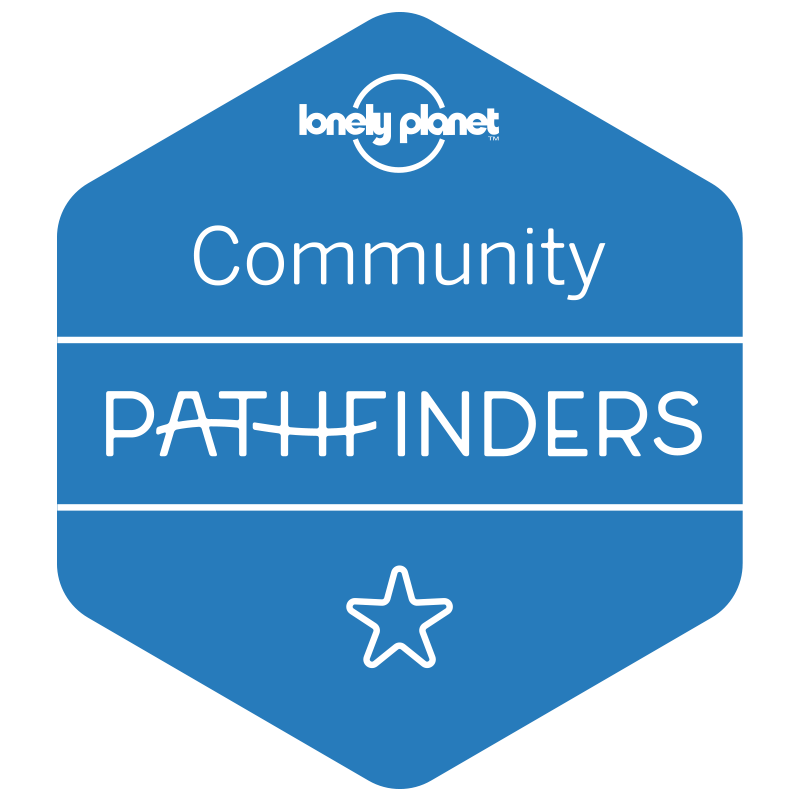 There is something for everyone – foodie, artist, hiker, photographer, nature enthusiast, techie, entrepreneur, history buff, you name it. You have to be here to feel the vibe, so be sure to allow a few days when you visit, or you’ll have to come again. Here is a list of few favorites along with amount of time I recommend. Golden Gate park – a day to visit the many attractions and walks here. Coit Tower and Twin peaks are great for full view of the city but it’s cold up there. Land’s End Hike – 30min to few hours. There is so much to do in and around San Francisco that you could spend weeks and not be done. When we visited San Francisco 20+ ago, we decided to move here and we’re still continuing to explore the city and the wonders all around us. Every summer Gilroy, California is sizzling! We’re not just talking about the temperatures, but the humongous cast iron skillets cooking up some tasty recipes. It’s the annual Garlic Festival. 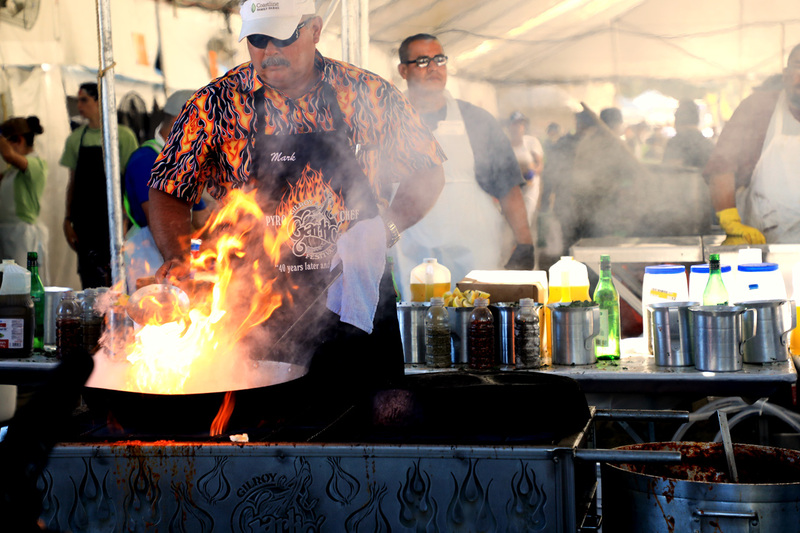 If you love garlic, you won’t want to miss this foodie event or miss out on adding it to your California bucket list. Held for four days at the end of July, thousands of people flock to the garlic festival to compete in cooking challenges, garlic tying challenges, to try the new recipes on hand, to see some celebrity chefs, and to enjoy the warmth and hospitality of a town that was made famous by garlic. We recommend that you buy your tickets before you go to the Gilroy Garlic Festival, and pay close attention to the parking instructions. There is no parking on site, so the town has contracted buses to shuttle visitors from the many lots to the festival. Make sure to try as many garlic dishes as you can, even the garlic ice cream is worth a lick. There are some great things to do not too far from Gilroy, like visit the beaches and the Monterey Aquarium. You can make a great weekend out of it. Submitted by Corinne of Roving Vails. 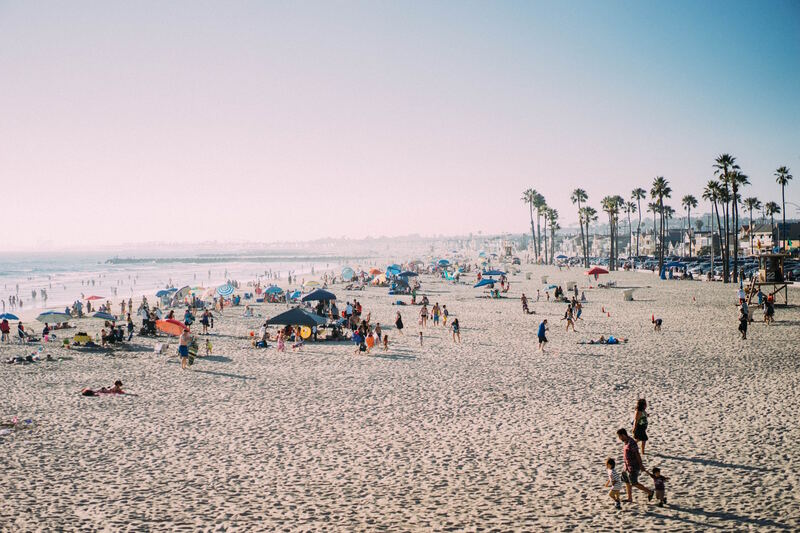 San Diego offers so much to explore, from beaches and bays to a lively downtown scene, putting it on the list of must do things in San Diego. If you have only a short time to visit, head straight for the island of Coronado. Here you can check out the historic Hotel Del Coronado with its trademark red roofs and beachfront restaurants. While you’re here, rent a bicycle and pedal all around the perfectly flat island roads lined with elegant homes and gardens. If it’s parks you fancy, San Diego offers the 1200-acre Balboa Park, built for a World’s Fair and filled with museums, theaters, and restaurants to suit every taste. You’ll also enjoy playgrounds and hiking trails. For a taste of San Diego’s past, head to Old Town, a colorful place with adobe buildings from early days here. There’s even a house said to be haunted. You’ll want to dine on delicious Mexican food, too. 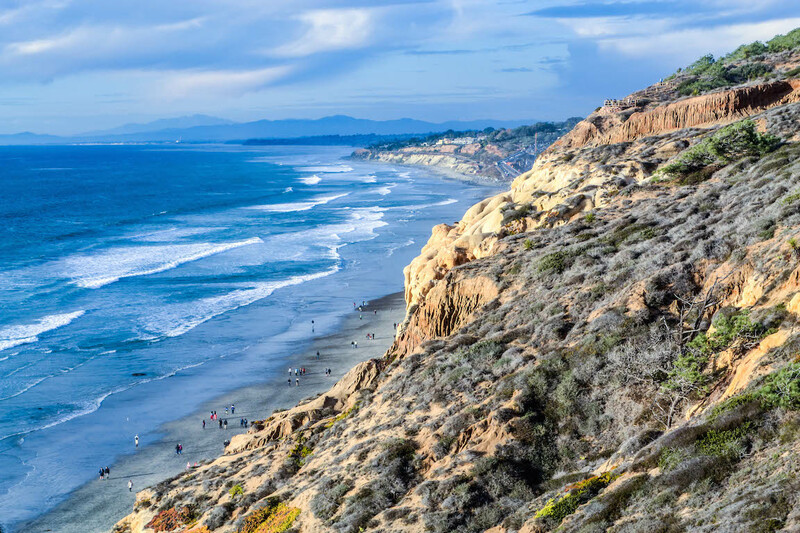 San Diego lies along the coast of California and boasts several beaches. Standouts include La Jolla, Pacific Beach, and Mission Beach, which comes complete with an old-time wooden roller coaster. My favorite is Torrey Pines beach and hiking trails. Time your visit for sunset for a view you’ll always remember. Also known as “The City of Angels,” Los Angeles is one of the most popular city destinations in California. 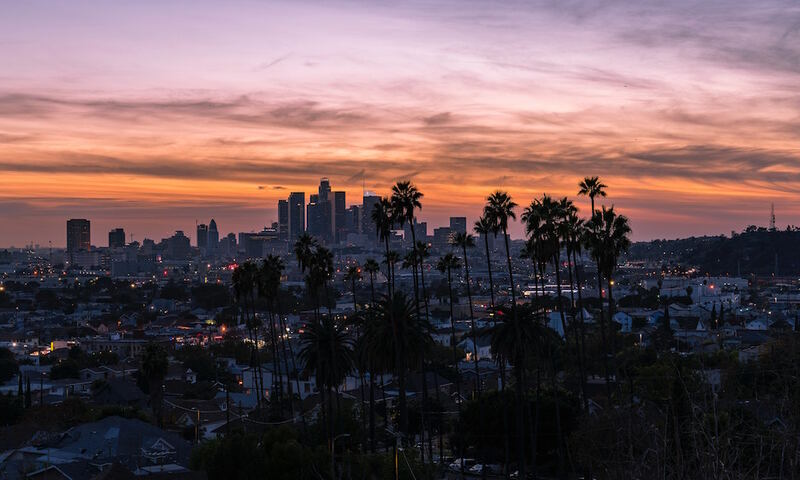 Los Angeles is perfect for a weekend trip, you can easily check out Hollywood, as well as a couple of unique & beautiful oceanside areas. You can explore the Walk of Fame in Hollywood and see the beautiful retro theaters. There are so many themed theaters in Hollywood, from Mann’s Chinese Theater to The Egyptian Theater and the gorgeous Art Deco Pantages Theater and Dolby Theater. Santa Monica and Venice are home to some of the most unique beaches in the Los Angeles area. If you visit Santa Monica State Beach, be sure to check out the Santa Monica Pier for fun boardwalk rides and arcade games. It’s also the best place to get funnel cake in the city. Venice, is home to Muscle Beach, Venice Beach, and the canals of Venice. You’ll get to see tons of locals doing their daily exercises at Muscle Beach and Venice Beach. Don’t forget to check out the beautiful canals of Venice, a neighborhood where canals were purposely dug out to create Italian Venetian vibes in Southern California. Death Valley National Park is without a doubt one of the coolest (while simultaneously literally the hottest) places to visit in California. Within this sparse landscape you will find all kinds of bizarre and incredible geographic marvels. For instance, the crackling salt crystals of the Devil’s Golf Course seem like something you might find in outer space, but are conveniently located much closer to home! 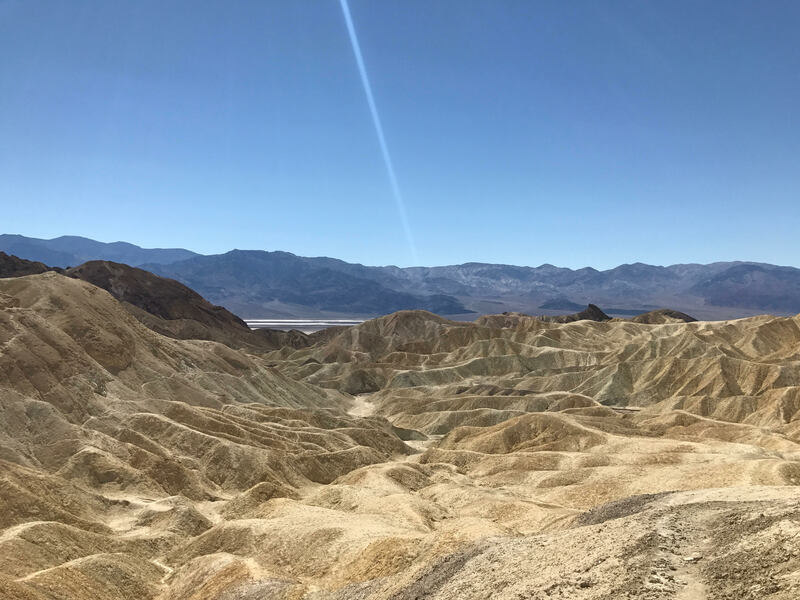 During your visit, take in the range of colorful rocks along the Artist’s Palette drive, hike through fascinating rock formations to Zabriskie Point, and frolic in the sand dunes at Mesquite Flat. If you have time, hike the perimeter of the 300 year old Ubehebe Crater. And, of course, you can’t forget to check out Badwater Basin, an expansive salt flat which also happens to be the lowest point in North America, resting at 200 ft below sea level. The name Death Valley didn’t come about as some sort of exaggeration. It is HOT. Some of the park’s highlights are the hiking trails, but the weather conditions make physical activity challenging. For the best experience, start your day as early as possible to avoid the heat. Always keep extra water on hand, as services are few and far between in the valley. If you’re headed to Southern California, you’re probably already headed in the direction of Coachella Valley. You got Joshua Tree, Palm Springs, and the Mojave Desert. But – while you’re out there, you should check out a spot that might not be on your radar. Salvation Mountain. It lies on the outskirts of Slab City, coined “the last free place on Earth,” (how does that not ALREADY get you excited??). It is a giant outdoor art piece, created by one man. Salvation Mountain is…well, a literal mountain, covered in bright paint and declarations of love overlooking the surrounding land. It is truly a sight to see, especially if you’re looking for something a little off the tourist path. 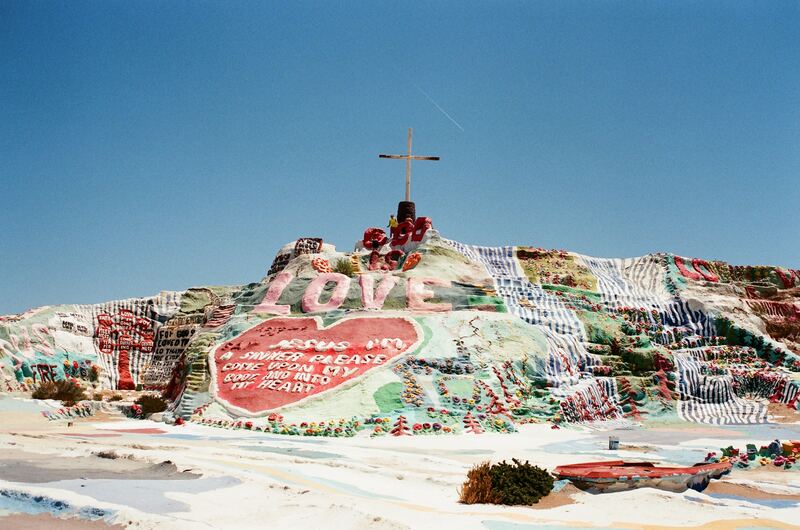 If you love quirky things, you’ve got to add Salvation Mountain to your California bucket list. A little advice, make sure to fill up your gas tank, as there are no gas stations nearby. Also bring snacks and water, even in the early spring, you will be SWEATING! Salvation Mountain is a great place to go and reflect, but it also doesn’t take too much time. So you can drop by and get right back to your California road trip in no time! Not many people think of Mojave National Preserve when planning their California adventures. When looking at the map of California, you may assume that Mojave land is hot, full of rattlesnakes, remote and not worth your time. In fact, this is the third largest site within the National Park system in the U.S. which has lots of camping and hiking opportunities, its own mountains, largest Joshua trees in entire California and even sand dunes. These are not the only reasons though why you’d want to pay a visit to this distant but mysterious place. I personally loved Mojave for ghost towns, historic sites, volcanic craters, and diverse wildlife. 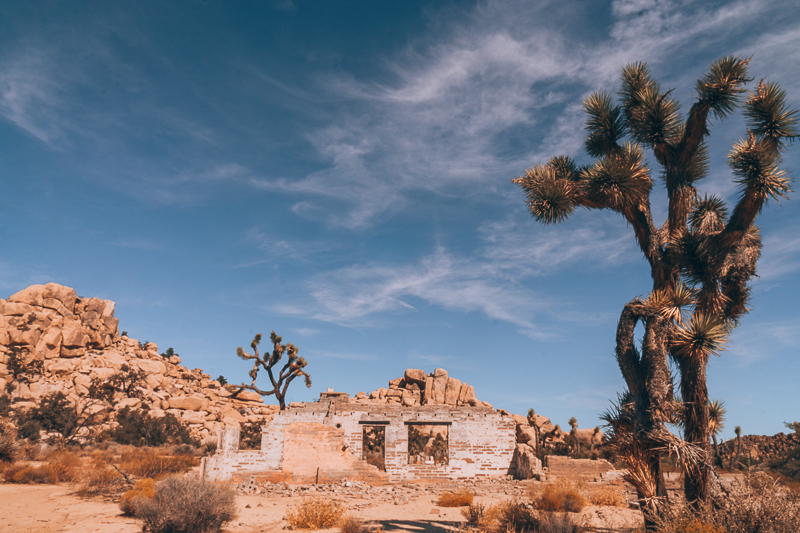 To get the best out of your trip, make sure to hike 2-mile Rings Trail to find petroglyphs, Teutonia Peak trail to see largest Joshua trees, go to Lava Tube, Kelso Dunes and just drive through the park. The drive alone gives impression that you are on another planet. 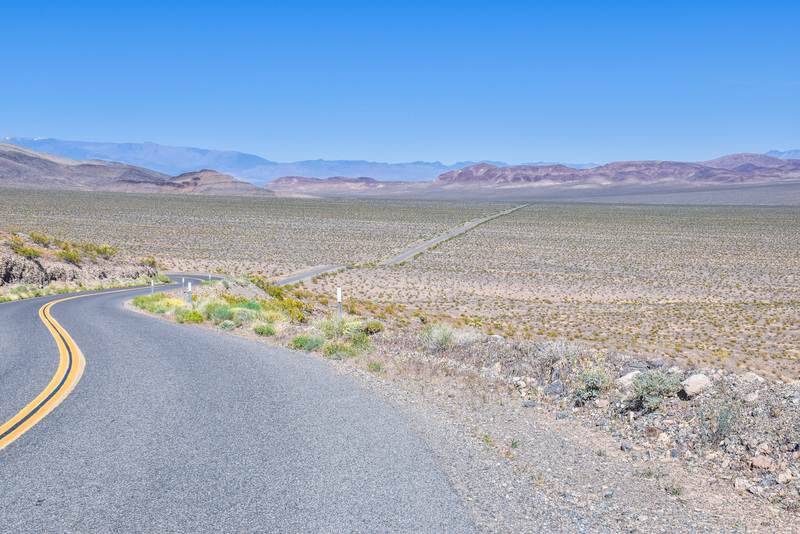 A few tips for visiting Mojave National Preserve: 1. It can be a wonderful one day trip from Las Vegas, if road tripping in Southern California, on the way from Los Angeles to Arizona or from Los Angeles to Las Vegas. 2. There is no gas and food in the park so come prepared. 3. Some roads are dirt roads or have cracks and holes in them, just make sure your car can go off-road in case you plan to drive to distant places. 4. The best time for visiting would be from late fall to early spring when temperatures are pleasant. Summers can incredibly hot, don’t forget this is a desert. Attention Wine connoisseurs! Stop what you are doing right now and add a visit to Temecula, CA’s Wine Country to your California Bucket List! 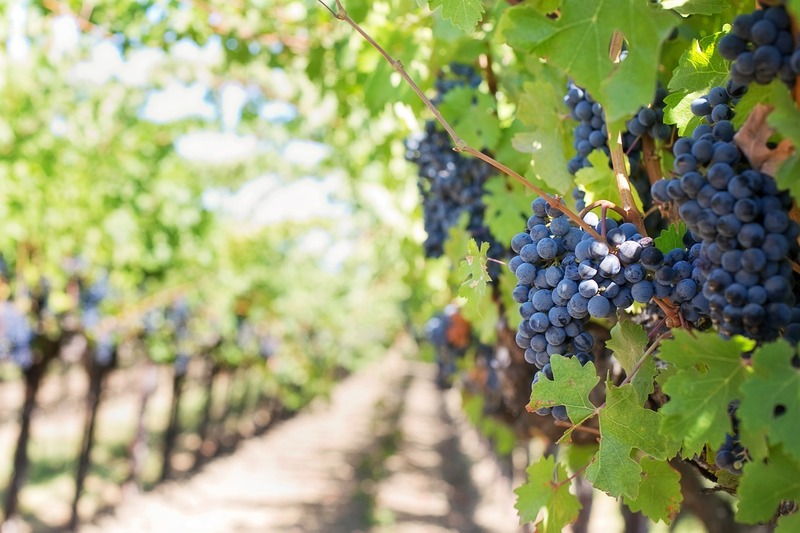 Over 40 wineries call the Temecula Valley home many of which have been growing grapes since the late 60’s. As a local business travel blogger who lives and works in the Temecula Valley I’ve hosted numerous customers in for business and taken the missus out for a sumptuous meal (and incredible wine, of course), I’ve sampled a great many of the wineries that call Temecula home. Temecula, California is roughly an hour north of San Diego and nestled in a bustling, but still rustic, valley. Temecula Valley’s arid climate is well suited for wine which has helped propel this Southern California wine mecca into a must-visit bucket list destination. 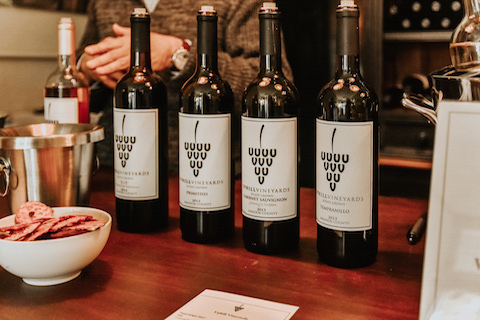 Make sure to hit Wilson Creek Winery & Vineyards and sample some of their Almond Sparking Wine (very similar to Champagne which is a term American wines are not allowed to use). For a more modern experience, try the South Coast Winery Resort and Spa, a full featured resort that offers lodging, winery, music, and a great spa. 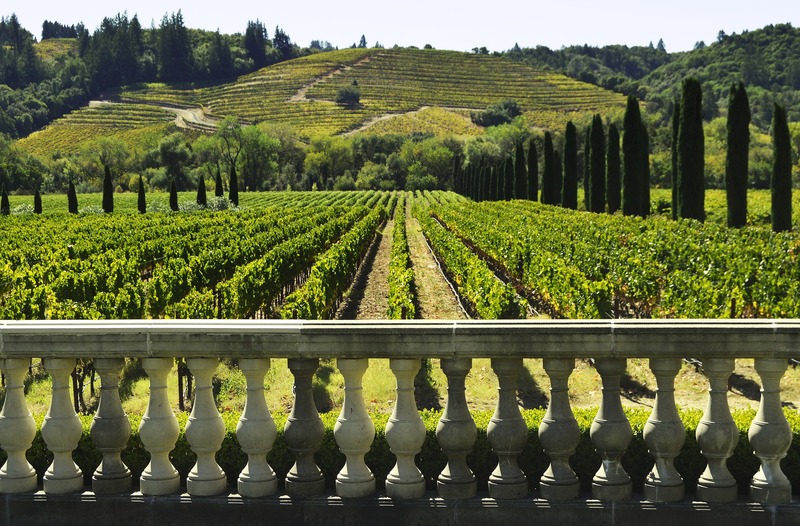 Your bucket list would not be complete without the most famous wine region in California – Napa Valley. When you visit, you must set aside some time for wine tasting to try Cabernet, Chardonnay, and other varietals. No trip to California can be complete without a visit to Napa, its just one of the best northern California attractions. You have plenty of wineries to choose from as well. Some of our favorites are Domaine Chandon, Castello di Amoroso, and Schramsberg. If you want a luxurious experience, take the Napa Valley Wine Train which stops at wineries along the 36-mile round-trip. Of course, you can only taste so many wines in one day, but don’t worry there are plenty of things to do in Napa other than wine. 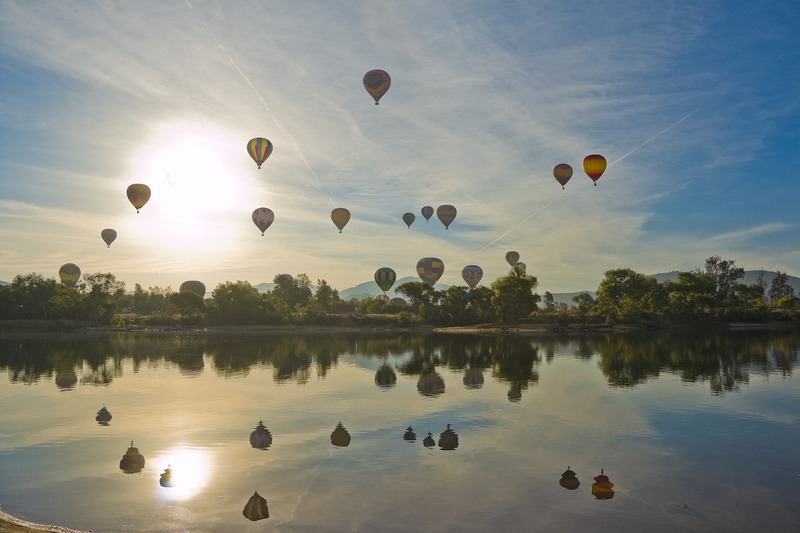 You can splurge on a hot air balloon ride or their famous mud baths. The area also has some of the best restaurants in the world, like French Laundry. Art lovers will also enjoy the di Rosa Contemporary Art Museum. Napa has something for everyone and definitely worth a visit! Sonoma County is a bucket list destination in California due it’s diversity and incredible beauty! This Wine Country destination offers gourmet restaurants, stunning valley vistas, swimming, hiking, and more wine tasting opportunities than you could imagine, all with a small town feel. Wineries abound on almost very corner, so stop at whichever strikes your fancy for a tasting and you will not be disappointed. Many offer beautiful gardens and picnic areas, and additional treats like fresh olive oil. Consider taking an informational winery tour at a gorgeous spot like Benziger Winery. The area is a foodie heaven with Barndiva in Healdsburg or The Girl & the Fig in Sonoma. Finish up with dessert at Noblefolk for ice cream flavors that you will always remember. Canoe down the Russian River or hike in the California Redwoods at Armstrong Redwoods or Riverfront Regional Park. The majestic trees are a perfect complement to the plentiful vineyards. The agricultural roots leave roads begging to be driven for their countryside views and vintage old barns. Sonoma County Farm Trails provides maps of farms with their doors open wide for tours, baby animal visiting, farm to table meals, and homemade honeys, oils and jams to enjoy back at home. Submitted by Sierra of Free to Travel Mama. Sutter Creek is located in Amador County, the heart of California wine country. Everyone knows of Napa, but there are many other amazing places to go wine-tasting in California. Sutter Creek is high on that list of places and is one of the off-the-beaten-path things to see in Northern California. Sutter Creek is considered the jewel of the Mother Lode. In other words, the jewel of California’s historic gold rush towns. Not only is there amazing wine tasting, but Sutter Creek is also full of history. One of the most popular sites is the Knight Foundry, the last water-powered foundry and machine shop. It is still located in its original place, very well-preserved and one of the last of its kind. It is open for tours every 2nd Saturday of the month. If old historic landmarks are not your thing, you can check out some of the 10 wine tasting rooms in Sutter Creek on Main Street and Eureka Street. Some that I especially enjoyed were Uphill Vineyards, Bella Grace (where you can also score some great specialty olive oil), and Feist Wines. Next time I visit Sutter Creek I plan to walk along the Gold Mine Trail and enjoy some pizza at Gold Dust Pizza! From Kelsey of On Her Journey. Pinnacles National Park is like an open secret on route between San Francisco to Los Angeles. Travelers in a hurry will take Interstate 5 and slow travelers will take the meandering Highway 1 thru Big Sur. Both these routes overlook California’s newest national park. Pinnacles was elevated to national park status in 2013 and is the 59th US National Park. Pinnacles is one of the smallest national parks but she packs a special punch. The park protects the southern Gabilan Mountains. These mountains were formed by volcanic eruptions over time the water and wind created the massive rock spires and bluffs. It is these rocks for which Pinnacles is named. Pinnacles is a special place. The park is a release site for the HIGHLY endangered California Condors. There are about 62 of these birds in central California and they are often seen flying above the peaks in Pinnacles. 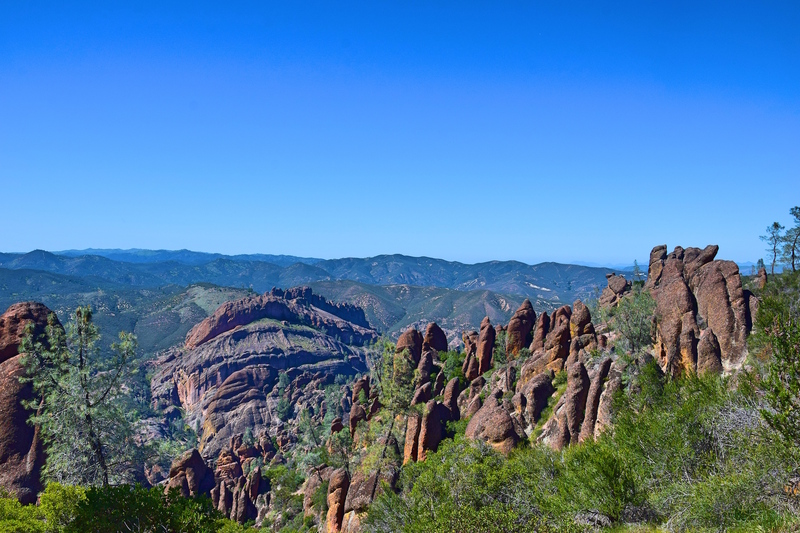 Pinnacles National Park offers 30 miles of hiking trails. The High Peaks Trail takes a hike up to the spires and along the high ridges of the park. There are two caves in the park – Bear Gulch and Balconies. Bear Gulch Cave is home to rare species of bats. Be warned the caves may close at specific times of the year for the protection of these colonies. 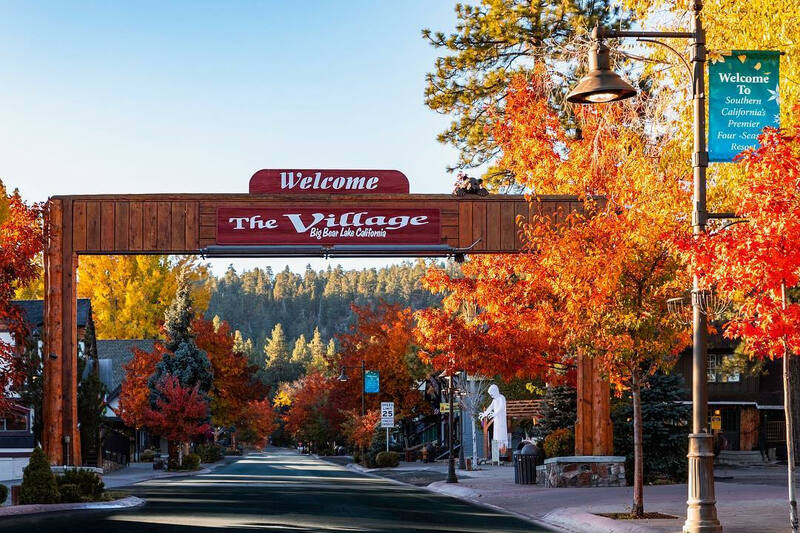 Less than 100 miles from Los Angeles, nestled in the San Bernardino Mountains, is the small resort town of Big Bear Lake. This Southern California gem is known for its many sporting activities, festivals, and events no matter what the season. From Oktoberfest and Spartan Race in the fall to the summer bike racing, craft fairs, wine walk, and craft beer festival; there always seems to be an awesome event going on. When visiting Big Bear, there are many seasonal activities to consider adding to your itinerary. During winter there is skiing, inner tubing, and ice fishing. The warmer months allow for amazing views and photo ops on hiking trails. If being on the lake is your oasis, be sure to make time for kayaking, jet skiing, and a ride in the Pirate ship. Other fun activities include ziplining, a water slide, off-roading, mountain biking, horseback riding, and the famous Alpine slide. If you’re looking for laid-back things to do in Big Bear, there’s lots to see. Plan a visit to the Alpine Zoo, Historical Museum, Discovery Center, or the Solar Observatory. Enjoy shopping at Lake Village, the Thrift & Treasure House, and Gold Rush Mining & Gift Emporium. Then relax for dinner and drinks at one of the many local restaurants, like Big Bear Brewing or The Pines. No matter the season, Big Bear Lake has memorable activities to entice everyone who ventures there and is one of the best outdoorsy places to go in Southern California. Submitted by Jenn from One Hoppy Momma. Located not far from San Francisco’s Sausalito town center, Point Reyes National Seashore is a popular getaway for locals escaping the busy urban life. 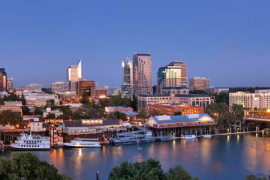 It is a sparsely populated area, a patch of land where it is preserved from the sprawl of city development, making it one of the best places to visit in northern California. Here, the ecosystems of the Northern California seashore have been restored and protected by the US National Parks System. Driving the scenic route, as well as hiking different nature routes throughout the park are highly recommended. My favorite spot in the area is the Cypress Tunnel with its rows of cypress trees. This is one of the most popular Instagram-able spots in California! 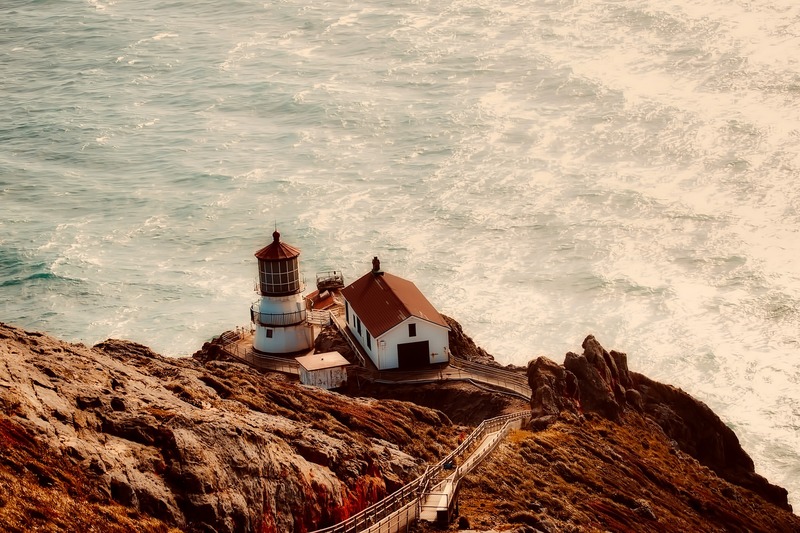 One of the highlights you shouldn’t miss is the hike out to the Point Reyes Lighthouse. This is the farthest out into the ocean you can get along this national seashore. Because it involves 308 descending steps to the lighthouse, you’ll need to spare your energy to climb back up. But it is definitely worth the walk! High up in the Eastern Sierra mountain range is the resort town of Mammoth Lakes. This year-round destination is designed for adventure junkies, making it high on anyone’s California bucket list. For anyone visiting during the winter activities include downhill skiing, cross country skiing, snowshoeing, ice skating, and tubing. Wintertime can be very busy in Mammoth, so be sure to book accommodations and lift tickets in advance. But the summer can be just as much fun with activities like hiking, backpacking, biking, boating and fishing. Fortunately, summer is also less busy. With hundreds of miles of trails throughout the region, it’s possible to hike for hours without seeing another person. The Mammoth Lakes Visitors Center is a great place for guidance about what to see and do in the area. Venture out a bit further and the sightseeing options include Mono Lake, Devil’s Postpile National Monument, and of course, Yosemite National Park. 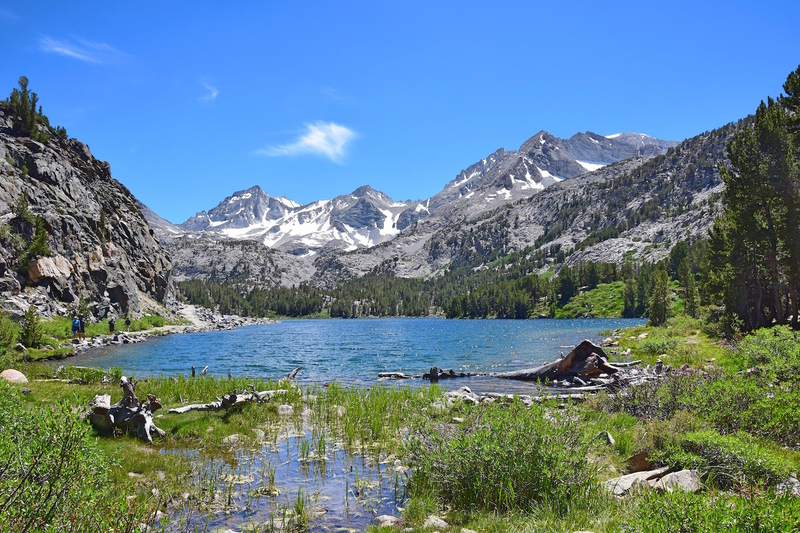 The natural wonders in Mammoth Lake and the Eastern Sierras is practically endless. When considering a California bucket list – experiencing the massive, ancient redwoods can’t be missed! In northern California, there are so many opportunities to visit these iconic trees, but two of the most grand are Redwood National and State Parks and Avenue of the Giants. Redwood National and State Parks have ample opportunities to camp and hike among redwood trees as well as the Pacific Ocean. No California bucket list or list of northern California attractions could ever be complete without the redwoods. One hike you shouldn’t miss is the Tall Trees Trail. This 4 mile trail (round trip) and will lead you to the Tall Trees Grove, home of the former tallest tree in the world (it has since been surpassed by another tree nearby). Once you’re done with Redwood National and State Parks, head south on Highway 101 to Avenue of the Giants. 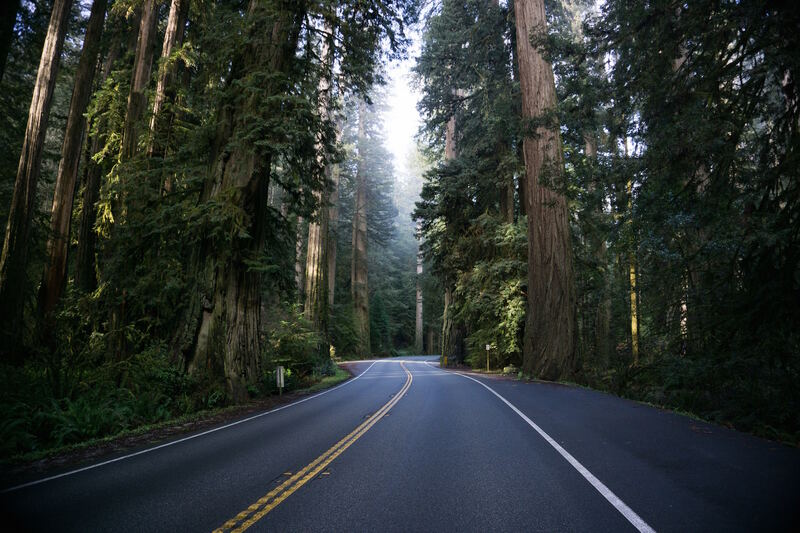 This 31-mile stretch of road is one of the most iconic drives in northern California, lined on both sides with pristine, ancient, redwood groves. While you’re there, be sure to check out the Drive-Thru tree park, one of the few places in the world where you can drive your car through a living tree! Joshua Tree National Park is located 2-3 hours east of Los Angeles. Joshua Tree is an incredible, unique national park. The national park is filled with Joshua Trees and big, tall boulders. There are many opportunities to hike, rock climb, and to take stunning photos. Some of the best hikes include Hidden Valley, Ryan Mountain, Arch Rock, and Cholla Cactus Garden. Rock climbing (bouldering and sport-climbing) is popular at Joshua Tree, and you can see many people climbing throughout the park. You can even hire someone to help you with climbing. 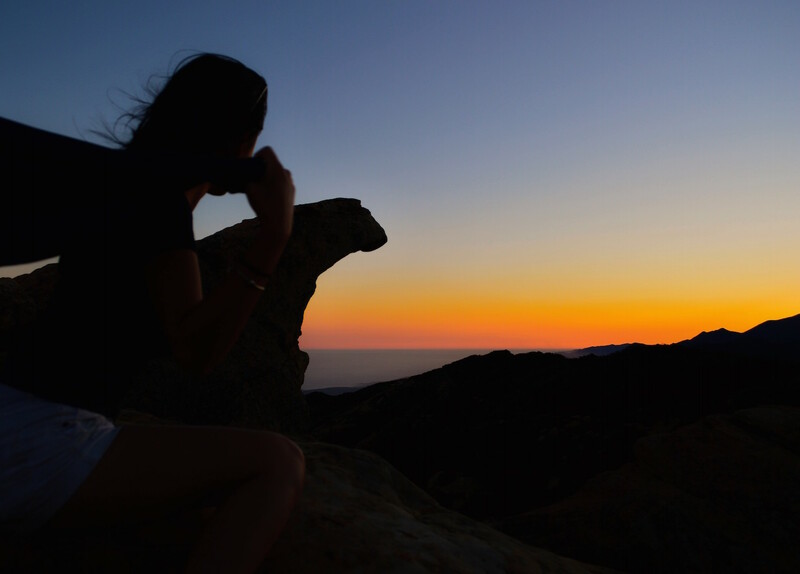 When it comes to photography, Joshua Tree is a photographer’s absolute dream. People come from all over the world to take pictures of the beautiful trees. The sunsets are always stunning against the oddly shaped trees, and the rural location makes it an excellent spot for nighttime photography. Joshua Tree National Park is unlike any other national park in California. The unique trees, the short drive from LA, and great adventures make Joshua Tree National Park a great spot in California, and one of the best things to see in California. After visiting all 50 states I can’t really say there is a better way to spend your time on the road other than on the Pacific Coastal Highway in California. You can go from San Diego to San Francisco and everywhere in between, spanning 659 miles and taking in all the beauty this wonderful state has to offer you. 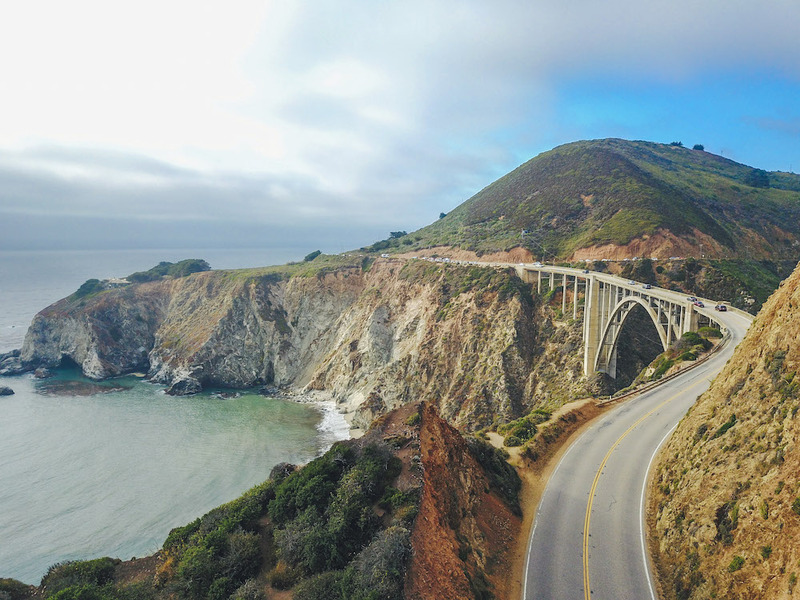 My favorite stretch of the highway is from Monterey to Big Sur, an hour-long drive that’ll have you cross over the Bixby Bridge which is one of the tallest single-span bridges in the world. If you’ve only a small amount of time to check this out, make sure Big Sur is number 1 on your list as it’s truly one of the most underrated places to see in the United States. However, if you have got the luxury to spend a week along this route you’ll be able to take in all of the wonderful beaches in the south and work your way through some insanely good food and drinks in any of the cities along the way. 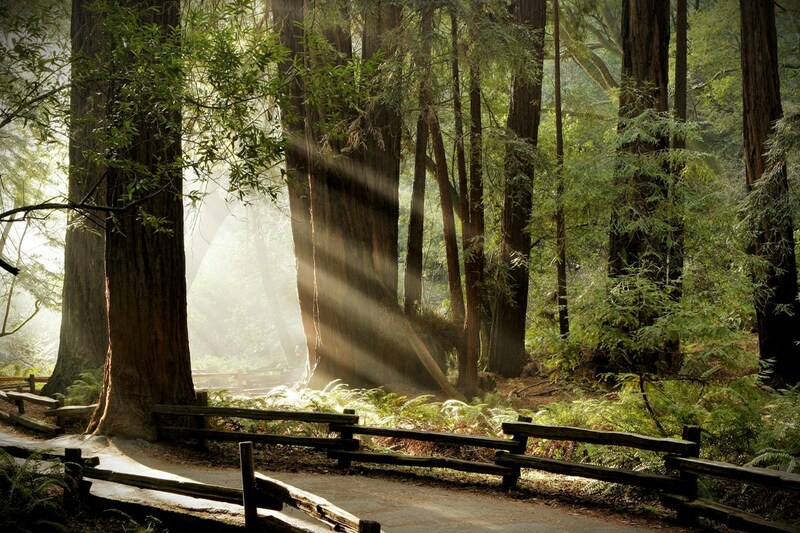 Muir Woods is a must for any California bucket list! It is a great day trip from San Francisco being just a short drive over the Golden Gate Bridge, making it the ideal place for northern California tourism. Muir Woods is iconic having been featured in many films and tv series and it is impossible not to be amazed by the size of these great trees! The main attraction of the Muir Woods National Monument are the Sequoia Sempervirens aka the enormous Redwoods! They are the largest living things on earth and they are simply breathtaking! They look like they go on together and you will find yourself looking at the sky the whole walk round! Our main tip for visiting Muir Woods is to ensure you make a reservation before you go as booking for parking and shuttles is essential! 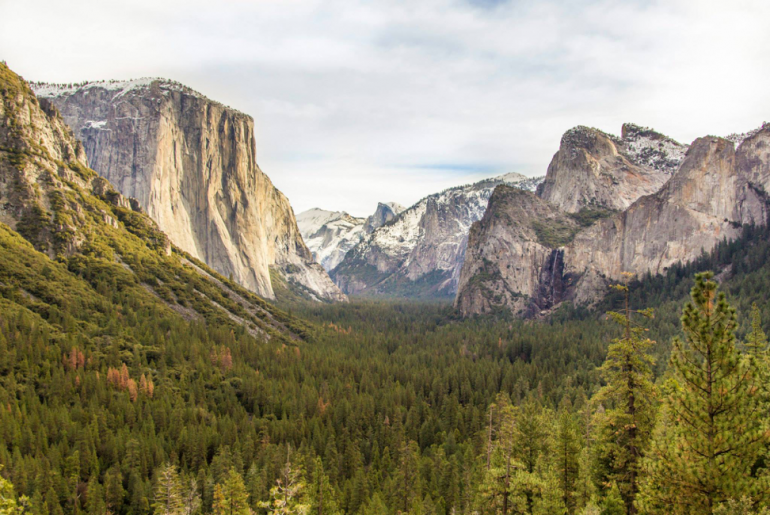 Yosemite National Park is located in central California and is one of the most iconic, well-known national parks in the United States – adventures in California don’t get better than this. In the summer months, people flock from all over the world to visit Yosemite and see the tall granite walls in Yosemite Valley and hike some of Yosemite’s best hiking trails, and in the winter Yosemite slows down a bit and transforms into a majestic winter wonderland. You could spend an entire week in Yosemite National Park and still only barely scratch the surface of everything it has to offer. Many people stick close to Yosemite Valley and hike its more popular trails like the Half Dome hike via the Mist Trail, or the Upper Yosemite Falls Trail. But others wander further outside the valley, to hike some of Yosemite’s other gems like Clouds Rest, or to further explore the beauty of Tuolumne. If your open to experiencing everything the park has to offer, your visit to Yosemite is bound to be full of drop dead gorgeous views, daring adventures, and peaceful evenings around a campsite fire. So be sure to put this National Park classic on your California Bucket List. You won’t regret it. 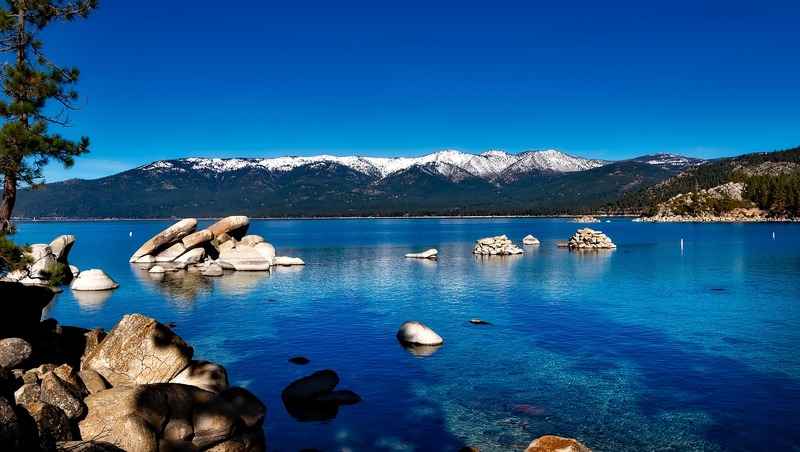 An easy weekend getaway from the Bay area, Lake Tahoe is the ultimate four-season destination, dazzling any time of the year. One of those magical unicorn places that have both water and mountains, whether you indulge in water sports under the summer sun or hit the ski slopes in winter, Tahoe is a treasure trove of active pursuits during the day and a hopping nightlife scene all surrounded by gorgeous nature, making it one of the best places for adventures in California. Right on the California and Nevada border, it’s the best of both worlds (and if you ski Heavenly you can actually start in one state and end up in the other). There’s hiking, horseback riding, snow sports, boating, and plenty of places to après after the adventures, along with casinos, clubs, and Vegas-style entertainment after dark. Whether you’re traveling with the kiddos, as a couple or on a solo sojourn, you won’t be disappointed by a visit to either side of the lake. Lizard’s Mouth is a great hidden spot half an hour away from Santa Barbara’s city center. The gem is tucked away in-between mountain ranges and maybe a tad difficult to get to without specific directions – adding a bit of adventure to this California bucket list. Nonetheless, the beautiful view from the peak is definitely worth a visit! The cliff overlooks Santa Barbara. The city is stretched across the hills, resting peacefully against the Pacific Ocean. We arrived at Lizard’s Mouth near sunset. After a brief hike, we reached a huge natural platform that tilted towards the forest below. There were no fences or handrails, so I attempted to steady myself against the roaring winds by shuffling onward in a squatting position. But my friend, a Santa Barbara native, pulled me forward along the rocks like nobody’s business. Once we reached the cliff, my fear of heights quickly diminished. To one side, the beach was dotted by numerous city lights. To the other, Lizard’s Mouth sat against the backdrop of the beaming sunset. The whole experience was peaceful, magnificent. Tucked away on the north coast of California, in the real NorCal, north of San Francisco, is Mendocino. Mendocino is a must for an California bucket list, and is one of the most romantic places in California as well. On one side of Highway 1 you have a dramatic coast line with crashing waves hitting the cliffs, and on the other side of the highway you’ll find dense moss covered forests that look straight out of Ferngully. The town of Mendocino itself is perfectly quaint, with architecture plucked out of New England, gardens covered in succulents and cute boutiques and local haunts around every corner, making this one of the best northern California vacation spots. 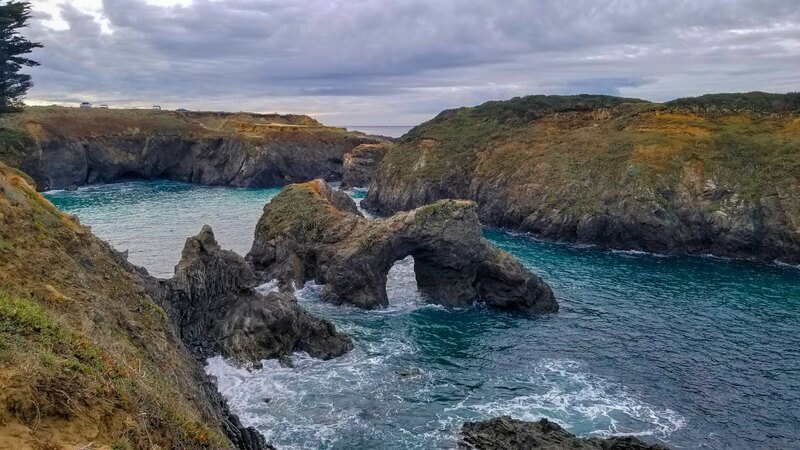 Nature and hiking lovers will love Mendocino for the bounty of outdoor activities – explore one of the incredible beaches along this coast line (Glass Beach and Bowling Ball Beach, to name just two), or visit beautiful state parks like Russian Gulch State Park, or Jug Handle State Park. Venture into a scene straight from Jurassic Park in Fern Canyon – this is a seriously cool place in California. and, what did we miss on this California bucket list? Let me know in the comments below! Feeling seriously homesick for California right now! There’s so much I haven’t seen yet, and so much wine still to taste! Aw Janine you have to come back home to visit soon! Fabulous post. Ive been to many of these pkaces but theres a few more added to my must do list now. Thanks! I know, I still have to visit so many of these places! Thanks Christobel! Glad you find it useful! 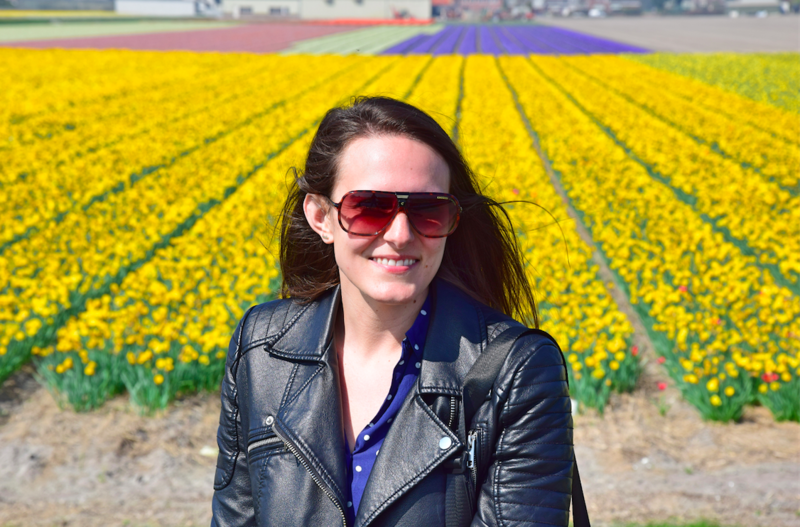 HI Gabrielle, this is such a beautiful and comprehensive post!! I’ll use it as a reference and planning short local trips to places we’ve yet to see. Thanks for including us in the post.